Another year, another category of Google-compatible products has flooded the market. A few years ago, it was the Chromecast, then it was the Google Home and Home Mini, and now it's the Google Home Hub. With every first-party release comes a slew of third-party alternatives, boasting the same features, same integrations, same functions, but with different designs and prices. On paper, they should be equal to Google's, but time and time again, we've learned that they're not. Never though have the lines blurred as much as with the Home Hub and its Lenovo and JBL brethren. They look almost the same, both on the outside and in their interface, and Google pushed them earlier than its Home Hub, advertising them and talking about them as if they were its own. Sadly, the story isn't different this time either. These are still third-party products and are still going to get updates later than Google's, suffering from lack of feature parity at almost every point in their lifecycle. But before we get ahead of ourselves, let's rewind a little bit and see if the past can teach us the same lesson. When Google released the first Chromecast Audio, back in September of 2015, the device did not support multi-room and grouping. You could cast audio from your phone to one speaker and that was it. 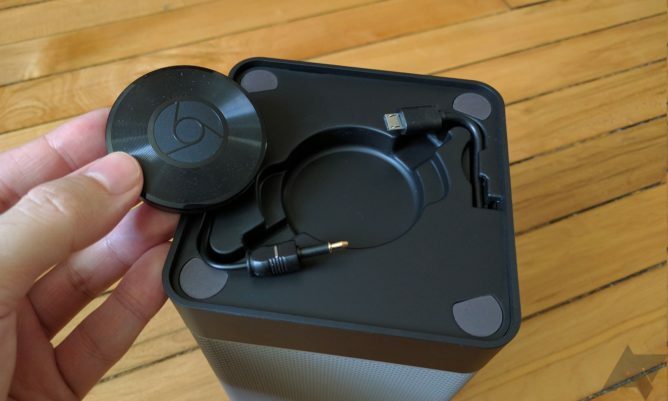 In December of 2015, the Audio got an update with multi-room and high-quality audio playback, but Google said that other Chromecast-enabled speakers from third-party manufacturers wouldn't get that same option until 2016. Sony, a company that has had a great track record in keeping its Google-compatible products updated, had to wait until September of 2016 to start offering these features for its line-up. Others weren't as fast. LG, for example, took another six months to roll multi-room for its Music Flow speakers. If you're keeping tabs, that means those who chose to buy an all-in-one LG speaker with Chromecast functionality embedded (instead of Google's Chromecast Audio to plug into a regular speaker) had to wait 16 months to have the option to create speaker groups and assign them to rooms. Grace Digital creatively avoided this by making a speaker that just houses a Chromecast Audio. And that's just the tip of the iceberg. We haven't kept tabs on all companies, so it's entirely possible some who aren't under the same spotlight as Sony and LG and don't have a very savvy user base never updated their earlier Chromecast-enabled offerings, or at least waited even longer to do so. Following the Chromecast Audio, it was time for a new family of products with the introduction of the Google Home. 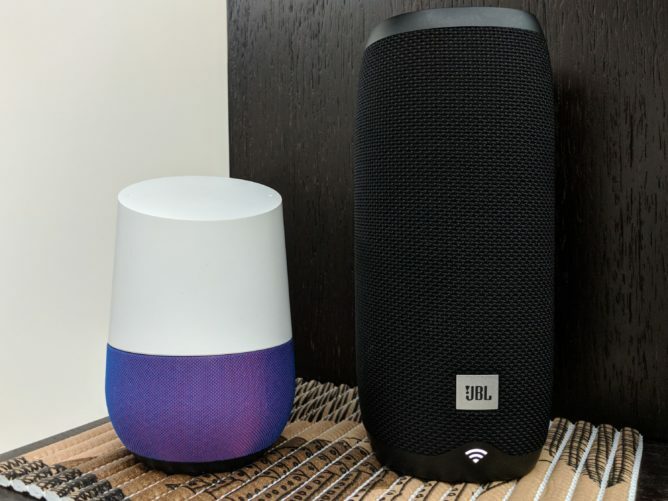 A while after its launch, the Assistant SDK was released and various companies could partner and release their own speakers with the same smarts as the Google Home. At the forefront of these was the JBL Link line-up, as well as plenty of other alternatives like Sony's LF-S50G and Best Buy's Insignia smart speakers. 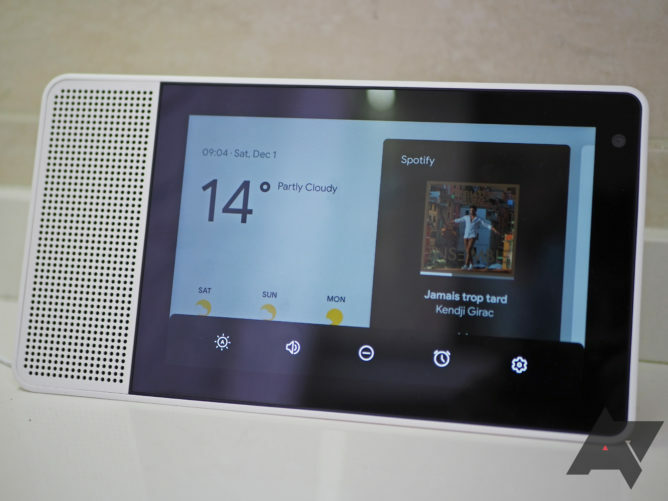 As time passed and the Google Home, Home Mini, and Home Max, got updated with new features, owners of third-party speakers had to twiddle their thumbs in a futile exercise of patience. When voice calls rolled out to the Home line-up in August of 2017, they were nowhere to be seen on third-party Assistant speakers. Many months later, when I reviewed the JBL Link 10, 20, and 300 in February of 2018, voice calls weren't yet supported on them. Two months later, in April of 2018, Ryne looked at the Sony LF-S50G and found that it couldn't make voice calls either. Fast forward a few months and Best Buy's cheap Insignia speakers only got voice calling around this October. That's over a year later than the Home. Past voice calls, several other features you may have taken for granted on your Google Home needed over a year to reach other speakers. Notifications and broadcasts, which we've been enjoying on the Home since May and November of 2017, respectively, reached the JBL Link 20 reportedly in July of 2018. Other features like routines and continued conversation are in a similar boat. A pattern thus emerges, regardless of the company and its eagerness to update its products. If you bought a third-party product with Assistant or Chromecast built-in, odds are you'll wait around a year for any first-party Google feature to reach your device, even if on paper and in ads both are portrayed to have the same capabilities. When hit with that reality, users often complain to the company they got the product from, only to be met with the same answer over and over again: "we're working with Google and hope to have the update in the next few weeks." Is it Google's fault for not immediately getting the update out for its partners? Or is it their fault for not demanding a faster timeline or for taking even more time to release the update for their customers? It's likely a case of both, and you'll never know because there's very little transparency in the matter. You're at the mercy of both Google and the company you got your speaker from. So instead of only worrying about availability by country or language for a feature — a frequent concern for all Assistant features — you now also have to consider when or even if your hardware will be updated to support it. Lest you think that the story stops there, this year has brought us new Smart Displays. 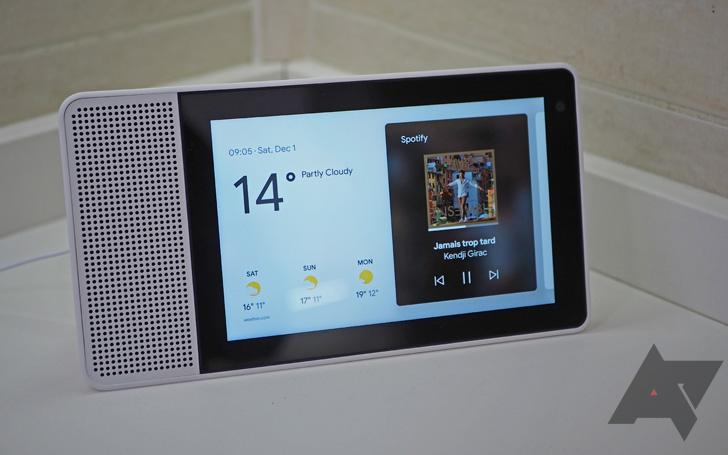 These neat screens add a visual component to Assistant, acting as a smart speaker, a connected photo album, a handy helper around the kitchen, and even a small YouTube and video casting target. Lenovo was the first to market in August with its Smart Display, and for a while, Google used it as "the" reference device for the category, showing it off at CES and I/O. JBL followed up in September with the Link View, and it wasn't until October that we got Google's own Home Hub. While Google was championing Android Things as a platform for all partners making smart displays, it was discovered that Home Hub runs on a Chromecast-based software instead. Google said that while the OS is different, the interface is the same regardless and users wouldn't notice a difference when using its own Hub or another company's. But that didn't say anything about updates and feature parity. 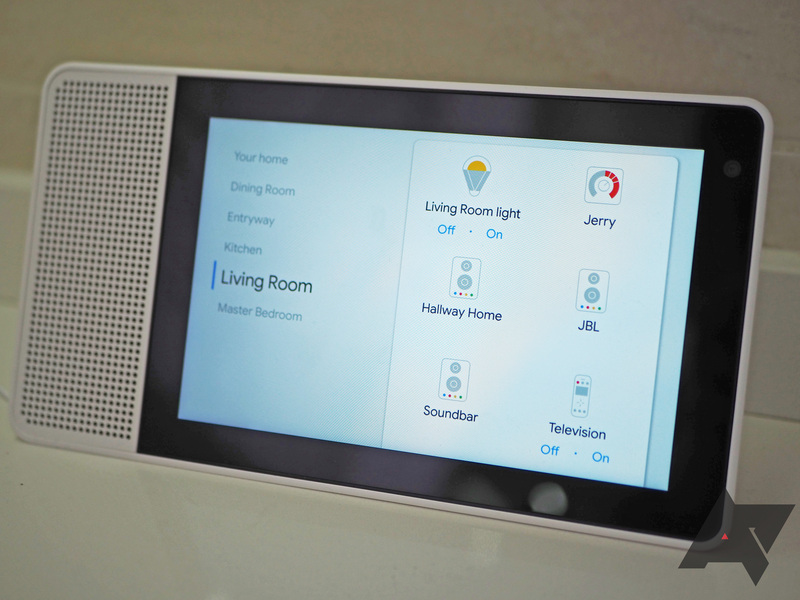 The Home Hub instantly leapfrogged Lenovo's and JBL's products from a software perspective. 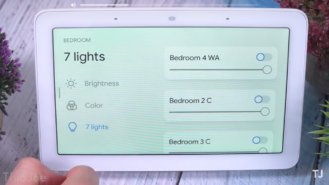 It launched with the new Home View for on-display smart home controls. While Lenovo was quick to catch up and began rolling out this feature (along with multi-room audio grouping) in October, my JBL Link View still didn't have it one week ago when I last checked up on it before I disconnected it (I switched to an 8" Lenovo). It was already one month late compared to the Home Hub. It has fallen even further now: when the new touch alarm function was announced for Google's and Lenovo's displays, JBL was nowhere to be found in that announcement. Owners were left to guess whether this would ever come to their units or not, and when it would. JBL has reached out to let us know that it rolled out an update to the Link View bringing Home View, multi-room grouping, and the quick-settings bottom panel with the alarm shortcut. My Lenovo 8" Smart Display already has the touch alarm button. On paper, it sounds like Lenovo is doing really well keeping up with Google's Home Hub. The discrepancies, however, run deeper than that. We've noticed two functions where the two displays aren't equal. When you have multiple lights in a single room, Home View gives you an easy way to control all of them together. The Home Hub also includes an individual controller for every light, which isn't present on the Lenovo Smart Display. You can still control any light individually by issuing a voice command first, but the interface in Home View that you see below on the left is nowhere to be found. When pressed for an answer by users, a Lenovo rep said that the feature isn't enabled on any Smart Display with Android Things, but it would be coming in an update later. 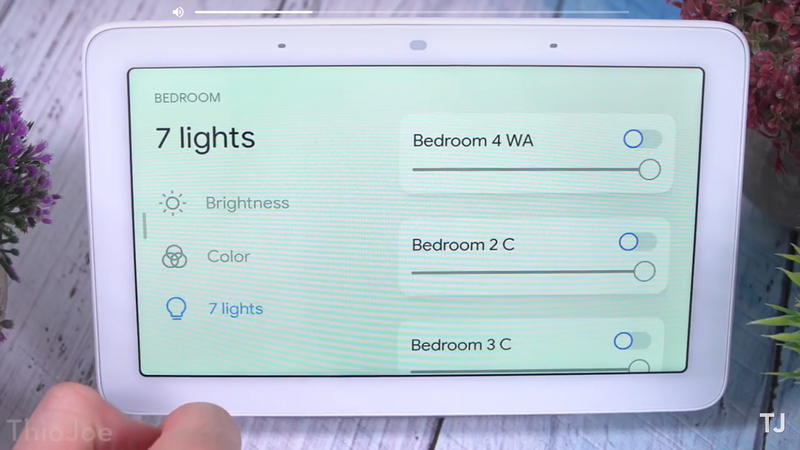 Home View on Home Hub (credit) has individual lights. Not on the Lenovo though (credit). 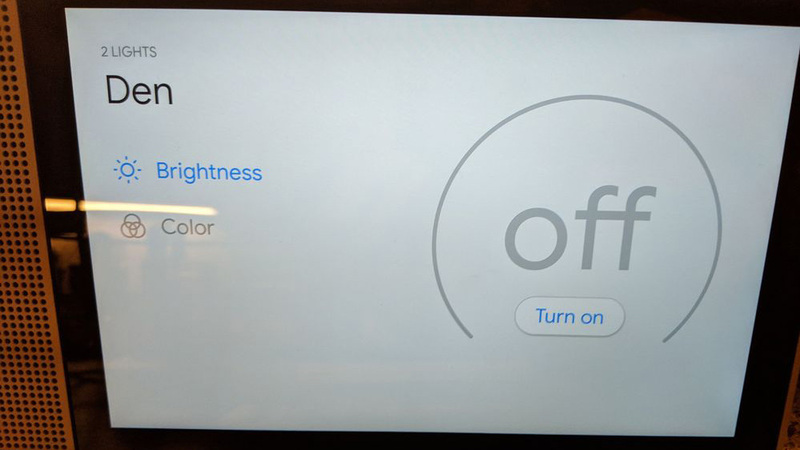 Another discrepancy that Artem has noticed is that the Home Hub offers a lot of granular settings for the display that his Lenovo Smart Display doesn't. Under a Display Settings menu, he can pick when the low light mode activates and what happens, what the minimum brightness of the screen is, and whether a timeout turns off the screen entirely. There are also Ambient EQ settings, which are legitimately specific to the Home Hub because of its special sensor, but the first four are not. Display Settings on the Home Hub. None of these are available for the Lenovo or JBL. Still, these can't be changed on the Lenovo Smart Display (they weren't there either on my JBL Link View). Technically, there's no reason they shouldn't be user-controlled, and yet we have to accept whatever the default has been set to. Perhaps another update will add these settings, perhaps not. That leaves us again in the same boat as the Chromecast and Assistant speakers. For the third time in a row, third-party products aren't given the same treatment as Google's own. We don't know who's really in charge of their updates and features. We can't guarantee they'll ever be equal to the Google Home Hub at any point in time, or that they won't fall behind considerably as time passes. They're still fresh products now and JBL is already falling behind, while Lenovo's eagerness to stay (almost) on par with the Home Hub might die down. What will happen in one year when Google rolls out more features to the Hub? Will the Lenovo or JBL get them quickly or not? How about two years? That uncertainty is why we're sounding the alarms and asking you to beware of what you're getting into. Everything you've read until this point might make it sound like we're recommending you only buy Google's own products, but I'm not. There's a place for both Google and its partners in the ecosystem, though you'll have to make a calculated choice — one that you should be quite familiar with as an Android user. You either decide to go with Google's hardware and get most features as soon as possible (barring server-side switches and language/locale limitations), or you pick a different brand with some special additions but knowing fully well that you'll be a cycle (or more) behind in terms of some features. As I mentioned earlier, I eventually went for the 8" Lenovo Smart Display. The $100 Black Friday price on the Lenovo was very appealing; it fits better in my small white kitchen and provides a vertical stand for Duo. I chose it over the Home Hub because the main reason we want a Smart Display is so that we can Duo with my parents and in-laws while preparing dinner. I made a calculated choice, knowing that I may need to be patient for every new feature to reach my unit while the Home Hub would get it immediately. At least I have Home View... I guess. The sad part is that we keep hitting this virtual wall of updates and feature divergence each time a new Google-compatible product hits the market — Pixel vs. other Android devices, Pixelbook vs. other Chromebooks. But with Google Assistant, we thought we had something less dependent on local firmwares and hardware, and more dependent on a service. Alas, that's not the case. Feature divergence is real and it keeps creeping in, regardless of the platform.